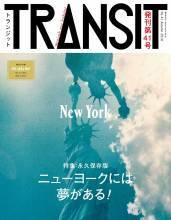 Enrico Isamu Ōyama: TRANSIT Magazine Photo Essay "Across the System"
Enrico Isamu Ōyama’s photo essay titled “Across the System” was featured in TRANSIT magazine’s No. 41 Autumn 2018 edition. 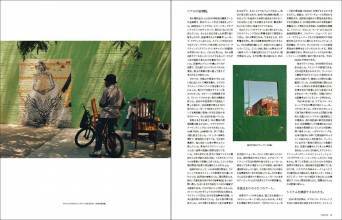 The 15-page spread written and directed by Ōyama covers multiple topics ranging from what prompted the visual artist to delve into aerosol writing to current street artist’s who are have crossed over in the contemporary art scene. The consistent connection between these striking stories is the connection to New York City: the epicenter of street art and this subversive art culture. 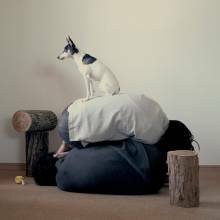 While the Brooklyn-based Japanese-Italian artist does not personally identify as a street writer, per say, Ōyama profoundly understands its culture, unique vocabulary, and signature set of aesthetics. 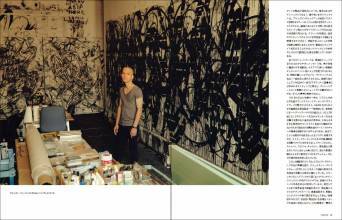 Within the context of contemporary art, the article notes Jean-Michel Basquiat and Keith Haring as street art pioneers during the 1970s-80s when such works—spreading across subways and building walls—were considered random vandalism. Alongside himself, Ōyama also introduces four current New York artists who have also revolutionized street art: COCO144, John Ahearn, James Clar and SWOON. As conveyed in the photo essay’s title, these artists have traversed across the creative confines of what defines street art and what is acceptable in public spaces, galleries, and museums. 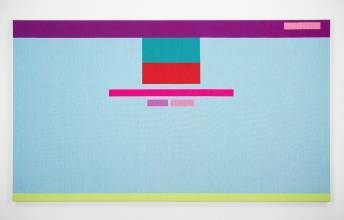 From September 28, 2018-April 14, 2019, Rafaël Rozendaal is participating in the Whitney Museum of American Art’s exhibition titled Programmed: Rules, Codes, and Choreographies in Art, 1965-2018. 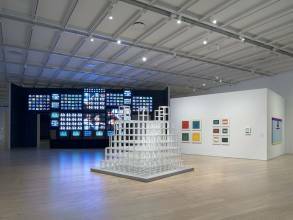 The group exhibition, as described in the press release, “establishes connections between works of art based on instructions, spanning over fifty years of conceptual, video, and computational art.” There, Rozendaal’s “Abstract Browsing 17 04 05 (Google)” is featured in the exhibition’s section titled “Rule, Instruction, Algorithm: Ideas as Form.” This woven work has also been acquired by the Whitney collection. Drawing on their collection, Programmed looks back at predecessors of computational art and shows how the ideas addressed in those earlier works have evolved in contemporary artistic practices. 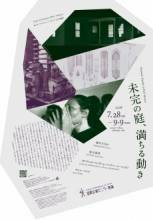 From July 28 to September 9, Motomasa Suzuki will be participating in Aomori Contemporary Art Centre’s (ACAC) Artist in Residence exhibition titled Dynamic Garden in Full Motion. Admission is free of charge and the art gallery will not be closed during the exhibition period. Motomasa Suzuki, the Tokyo-based sculptor, has invited visitors to participate in the finishing touches of his clay sculpture. 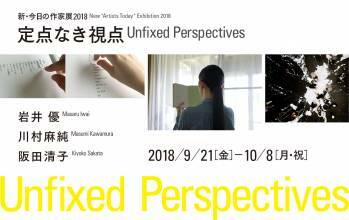 Date and Time: July 9 to July 15 from 10 a.m. – 12 p.m.; 2 p.m. – 4 p.m.
From September 21 to October 8, Masaru Iwai will be participating in Yokohama Civic Art Gallery’s New “Artists Today” Exhibition 2018 titled Unfixed Perspectives. During the exhibition period, a talk event will be held with Mr. Akinori Kubo (Associate Professor at Hitotsubashi University’s Graduate School of Sociology). Date and Time: September 29 (Sat) from 3 p.m. – 4:30 p.m. The talk event is open to the public and no application is required. From July 14 to September 9, the artist duo Mai Yamashita + Naoto Kobayashi will be participating in Chiba City Museum of Art’s exhibition titled Journey. In line with the exhibit’s theme, Yamashita and Kobayashi will be showcasing their video work “Rubbing a Camel”: a video installation in which a bronze statue of a camel is repeatedly rubbed for five months as they travel through Egypt, Spain, Switzerland, and Germany. In addition, on August 11 (Sat), the artist duo will conduct a workshop which corresponds with the national holiday Mountain Day. Admission Fee: Adults ¥200; University Students ¥150; With a certification of disability, admission is free along with an accompanying caregiver.